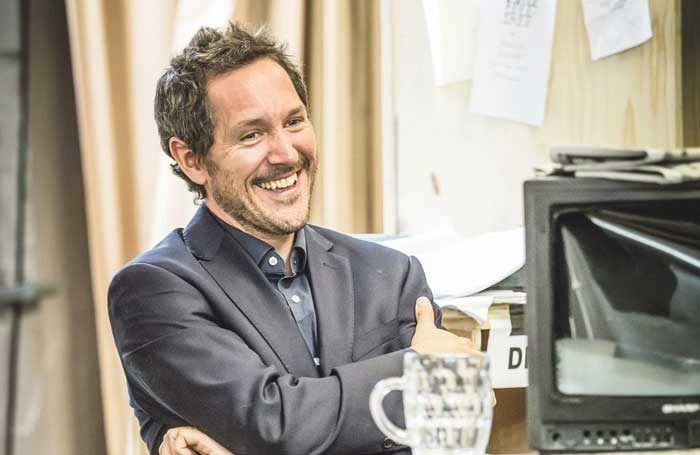 Bertie Carvel stars in James Graham’s new play about the birth of the UK’s most controversial and influential red-top, The Sun. Carvel plays Rupert Murdoch in Rupert Goold’s production for the Almeida Theatre, opening on June 27. This year’s Manchester International Festival gets underway with Party Skills for the End of the World, a new piece by Nigel Barrett and Louise Mari of the Shunt Collective, which promises its audience “a wild, immersive experience”. Previously seen at The Proud Archivist, where she was writer in residence, Sarah Kosar’s play about grief and meat, Mumburger, can now be seen at the Old Red Lion Theatre in Islington, where it opens on June 30. The Unicorn Theatre continues to programme excitingly and audaciously. Next up is Double Double Act an exploration of what it means to be an adult created by Made in China and Chris Brett Bailey and performed alongside eight year olds. It opens on June 27. Drew McOnie’s revival of Leonard Bernstein’s sailors-on-shore-leave musical On the Town closes on July 1. We gave it five stars in The Stage, other reviews were more mixed. New verbatim musical Committee…, edited by Josie Rourke and Hadley Fraser from transcripts of the parliamentary enquiry into the collapse of the Kids’ Company and featuring music by Tom Deering, opens on July 3. Adam Penfold directs a cast that includes Alexander Hanson, Liz Robertson, Sandra Marvin and Rosemary Ashe. 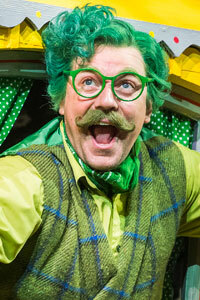 A new, all-British family musical version of Kenneth Grahame’s The Wind in the Willows comes to the London Palladium for a summer season after a regional try-out last year in Plymouth. With a book by the prolific Julian Fellowes and score by Stiles and Drewe, Britain’s most enduring musical writing partnership, it opens on June 29. Jonathan Church takes over the running of the annual summer season at Bath Theatre Royal by reviving David Hare’s Racing Demon, opening on June 28, with a cast that includes David Haig, Anthony Calf, Ian Gelder, Rebecca Knight and Paapa Essiedu. World premiere of Superhero, Richy Hughes, Joseph Finlay and Michael Conley’s one-man musical that stars Michael Rouse in the title role, opening on June 30. Work-in-progress staging of Frank Wildhorn’s Broadway musical version of the Bonnie and Clyde story, running to July 1, stars Evelyn Hoskins and Jamie Muscato in the title roles. English National Opera present a staged version of Elgar’s beloved The Dream of Gerontius for two performances only on July 1-2. Lucy Carter designs and stages it, with Simone Young conducting the ENO orchestra and Gwyn Hughes Jones singing the title role.